Deployment of the new aircraft carrier, which is likely to take place in 2021, will also include two squadrons of F-35 stealth jets to "stand up to those who flout global law". Without citing specific examples, Williamson warned that the cost of non-interventions had often been "unacceptably high" and said that Western powers can not ignore those in need. He will also confirm the Royal Navy's new aircraft carrier HMS Queen Elizabeth is being deployed to the Pacific region, where China has been involved in a dispute over territorial claims in the South China Sea. 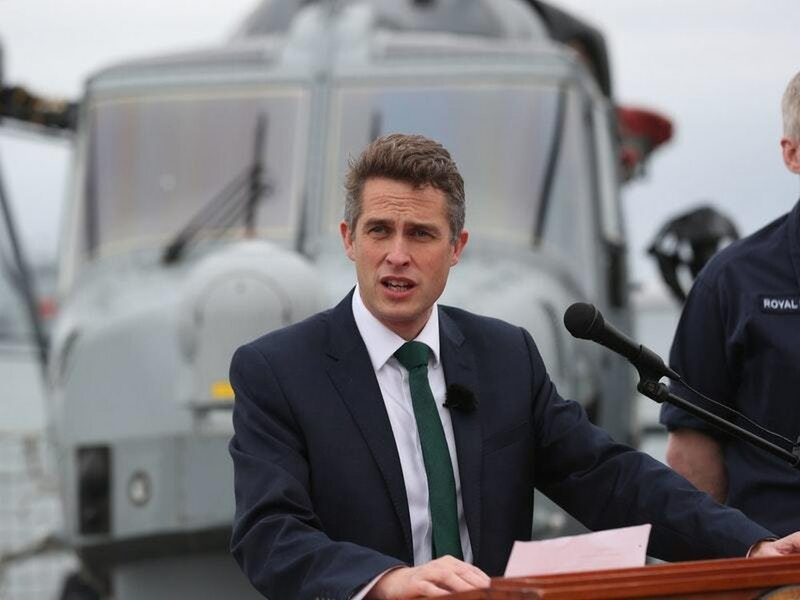 The Conservative minister will say that Britain must be prepared to take military action against countries that "flout worldwide law" or risk being seen as a "paper tiger". Britain and its allies must be prepared "to use hard power to support our interests". The alliance "must develop its ability to handle the kind of provocations that Russian Federation is throwing at us", he will say. "Significantly British and American F-35s will be embedded in the carrier's air wing". Williamson also said the country's cyber forces will be reinforced to defend and launch attacks. "We should be the nation that people can turn to when the world needs leadership", Williamson said. He continued: "I want to see our armed forces embracing transformation at an ever-faster rate, keeping pace with technological change, enhancing our mass and increasing our lethality".